Babies love to be swaddled. But, there comes a time when baby needs to make the transition from swaddling (when baby begins to roll) and this often leads to a fussy, sleepless baby resulting in frustrated, sleepless parents. Mom and Dad dynamic duo, Brett and Stephanie Parker, founders of Sleepingbaby.com, created a solution to solve this issue of transitioning babies from swaddling; many are calling it magical! 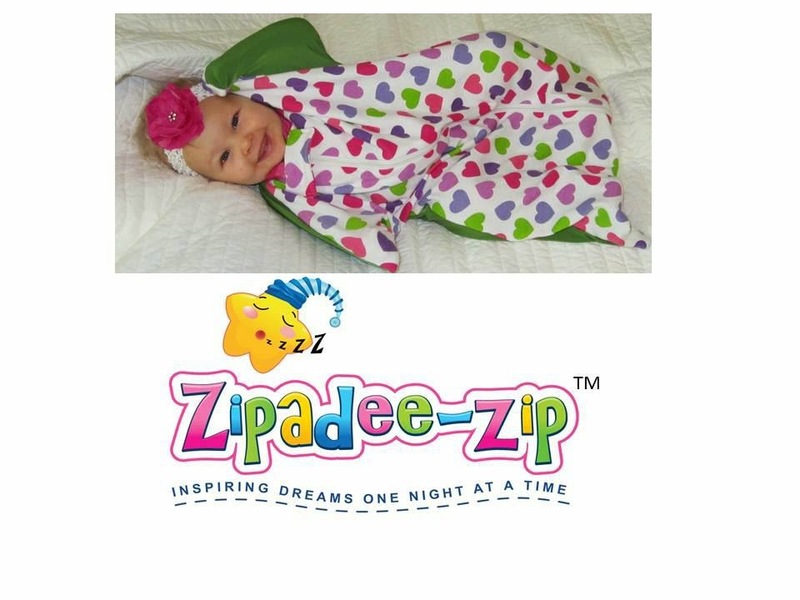 Their invention is called the Zipadee-Zip, a star-shaped, sleep garment that covers baby's hands, body and legs, BUT is not as restricting as the swaddle so baby can stand up, roll, crawl, and move around freely and most importantly safely. 5. Breastfeeding - Prevents a baby from scratching themselves and momma! 6. Stroller walks or walks/rides in a sling or baby carrier - can be worn while buckled or strapped in! As you have read through the description, you might be a little skeptical. And honestly, I admit, at first I was too. So, let me start out by telling you this sleepsack is amazing! At four months old, Savy Baby was not yet sleeping in her crib at all. She had spent her entire life either cosleeping with me or sleeping in her little hammock style bassinet. But, with her awareness and sensitivity to the chaos inside our home (two older siblings running around) growing, we were also growing aware of the fact that she just wasn't able to get good quality naps during the day. So, we made the decision to start her transition to the crib for naps. Immediately upon trying to put her to sleep in the crib, we noticed that she was extremely anxious and possibly felt overwhelmed by such an open sleeping space. She would flail her little arms around and if she did fall asleep, her reflexes would awake her. You might be thinking "You should swaddle her". Well, that's not an option since Savy Baby has hated being swaddled since week two of life. That's when I remembered we had the recently received the Zipadee-Zip! We received the eLOVEphant print in a size Small. Upon getting it ready for her, I was still a bit skeptical, but we gave it whirl and she slept for 45 minutes straight in her crib! We noticed that it was cozy enough to keep her warm and feeling safe, but gave her plenty of room to still move around her arms and legs. It's the perfect combination of a swaddler and a sleepsack! The Zipadee-Zip has a very smooth zipper closure that has a overlapping fabric at the top to protect the baby from the zipper on the inside and outside of the sack. It also features a very soft material and cute elephant design! Our only con is that we only have one! I can definitely tell you it has held up great to tons of washing/drying and use in the last 3 weeks! It still looks and feels just like new! This product is an absolute blessing to our family! 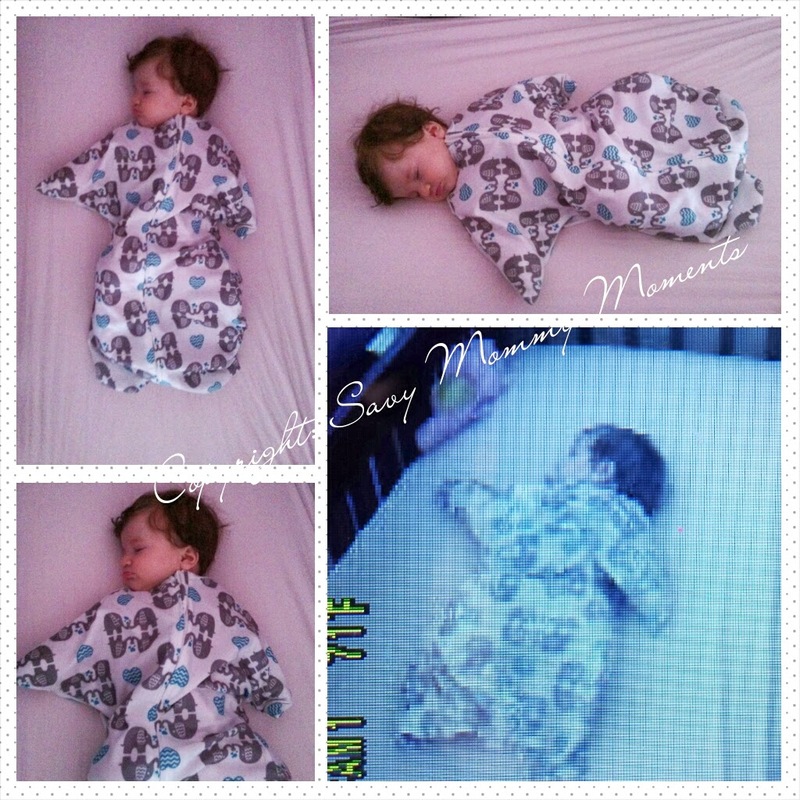 Savy Baby, at just 4.5 months old, sleeps in her crib for all naps during the day. The naps range from 45 minutes to 2.5 hours long! All bundled up safe and sound in her Zipadee-Zip! Ready to check it out & learn more? Visit the Sleeping Baby (Zipadee-Zip) website to learn more! You can browse and purchase one online! It makes the perfect shower gift! Win! Enter below for your chance to win a Zipadee Zip! Open to U.S. Residents only. Giveaway closes on 3/31/14 at 11:59pm CST. Good Luck! I love "Look Hoo Loves You"! Love the baby beluga and Elephant prints!! I love the Baby Baluga and eLOVEphant Zipadee prints. 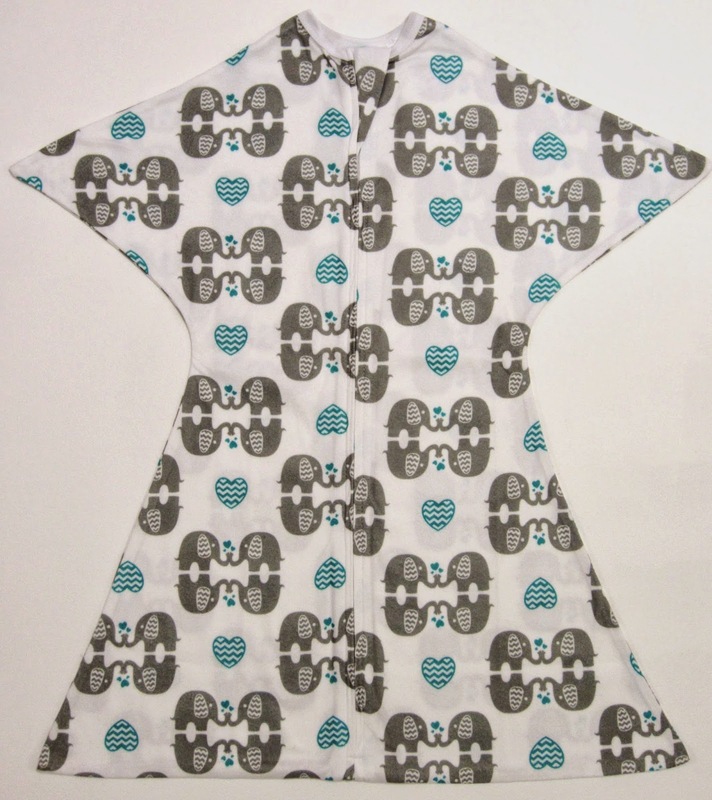 Baby Beluga print is so cute! My favorite zipadee zip has to be the Baby beluga. My second favorite is the plain blue one. The navy polka dot is my favorite! I really like Pretty Poppy! We have Baby Baluga and it's so cute! I like the Mr. Froggy print. And the one with the pink owls on it! I love the pretty poppy pring. I love the elovephant in fleece!